Today's classroom is full of children expected to learn more, and faster than ever before. One of the factors in learning faster involves reading faster. Learning to read quickly and fluently is a bit like riding a bike. If you don't cycle fast enough you will quickly fall off. If you do not read quickly and rhythmically enough you will lose the meaning. How can you help? There are strategies you can employ to help your child cope with fluency issues. Parent evenings only come round once a year, so if you notice your child's reading progress is not what you were expecting or they are easily frustrated whilst reading, make an appointment to see the teacher. Find out their assessment of your child's word decoding skills. Children learn by mimicking their parents/teachers/carers. 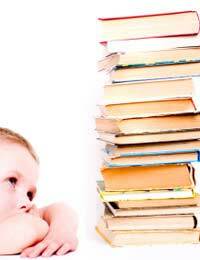 If you read regularly your children are likely to spend more time reading. Pick up a book or newspaper in front of your child. Talk to them about stories you have read and how you enjoyed reading it. Just five minutes a day can make an improvement. If you make a regular commitment to five minutes, and offer the child lots of support and encouragement, as their reading improves, so will their dedication to practising. Smaller amounts each day are more beneficial than larger amounts two or three times a week. To help your child understand the text they are reading, choose something relatively easy for them, between 50-200 words and read the passage out loud. Then ask them to read it back to you. By listening to a Fluent Reader, your child will learn how a reader's voice can help written words make sense. Children's poetry is a great choice for practising speed and fluency because it is short, rhythmic and mostly fun to read. Have your child repeat the same paragraph four or five times. Do this over a few days rather than insisting the child read over and over again the same passage on the same day. Record the child reading on the first day, and record again four or five days later reading the same passage they have been practising. Play back the original and final recording to the child who will hear their own improvement. When children are struggling with reading they often feel very hopeless and "what's the point" about the whole situation. Being able to physically demonstrate how the practice is improving their ability is often all the motivation needed. Read regularly with your child. Take a page each. You will provide a model of fluent reading, be able to assist with word recognition and provide valuable feedback. This is the most efficient way to improve a child's fluency and speed of reading. Most libraries stock audio-CD's. For the first reading, encourage your child to listen to the reader and point to the words as they are read out. For the second reading, ask your child to read along with the CD. Encourage your child to regularly practise reading along with the CD until they can read and understand the book independently. If practised four times a week, the usual two week loan period of most libraries is sufficient time for your child to be reading that particular story independently. If you don't read well, you won't want to read. It doesn't take long - regular, daily five minute sessions have shown to provide huge improvement. Investing only five minutes a day during your child's early education will make a significant difference to your child's confidence and their whole educational experience. Remember, the best thing about these practices is they can be fun, enjoyable, and an all round bonding experience.